Milka & Oreo is the smooth chocolate delight from Alpine milk chocolate made ​​from 100% original Alpine milk and crunchy Oreo Keksstückchen. Both combine to form an innovative, delicious flavor composition. 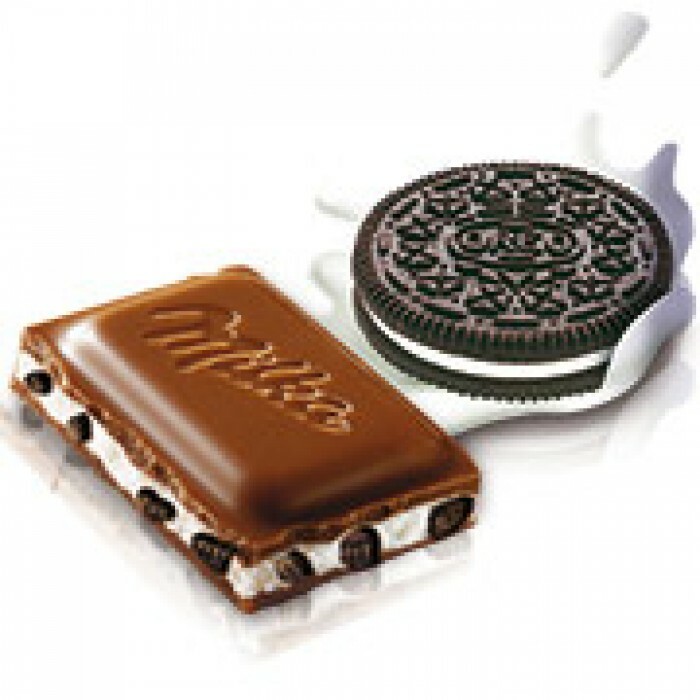 Alpine milk chocolate with cocoa biscuit pieces (12%) and an Alpine dairy cream filling (38%) with vanilla flavor. Sugar, vegetable fat, cocoa butter, whey powder, skimmed milk powder, wheat flour, cocoa mass, butter, cream powder (2%), low fat cocoa powder (1%), hazelnuts, emulsifier (soy lecithin, sunflower lecithin), glucose-fructose syrup, flavorings, raising agent (ammonium bicarbonate, sodium bicarbonate), salt. CONTAINS MILK HAZELNUT, WHEAT GLUTEN, SOY. MAY CONTAIN TRACES OF OTHER NUTS INCLUDED. 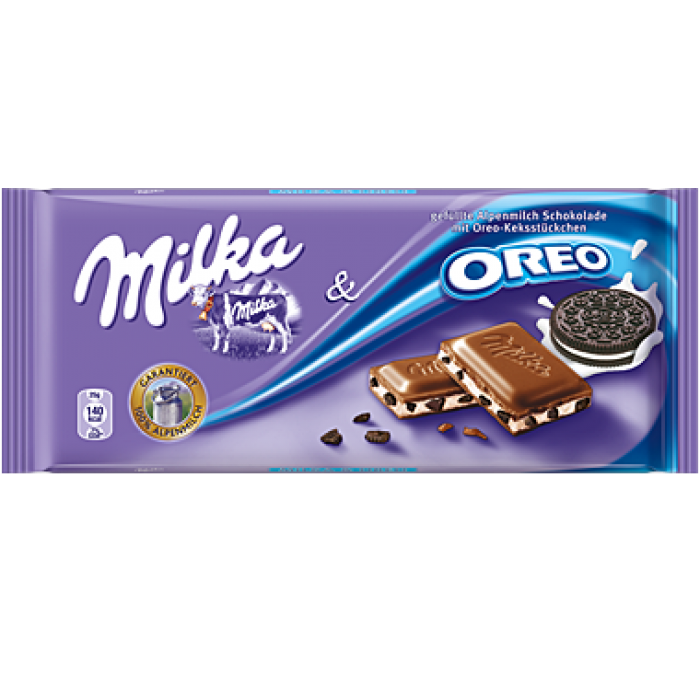 Milka Blueberry 100g - milk chocolate with Alpine milk with milk filling (30%) with aromas of blu..
Milka Chips Ahoy 100g - new flavor from Milka chocolate bars - Alpine milk chocolate with biscuit..
Milka & Oreo 300g is the smooth chocolate delight from Alpine milk chocolate made ​​from 100%..